JGP undertake annual cliff inspections in East Devon on behalf of East Devon District Council (EDDC). 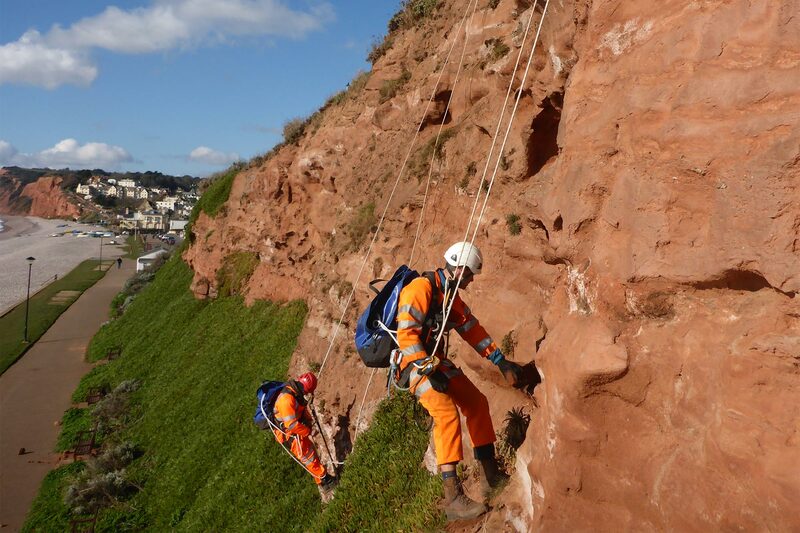 Working with rope access specialists, Abcas Ltd, JGP used rope access techniques to assess the stability of a number of cliff and coastal slopes in the area. This unique stretch of coastline forms part of the Jurassic World Heritage Site. The inspections carried out by JGP cover cliffs maintained by the council and include Beer, Budleigh Salterton, Seaton and Sidmouth. This year’s annual cliff inspections will be completed by the end of April 2019. The aim of the annual inspections are to assess the stability of the slopes for public safety and to identify any remedial works required. 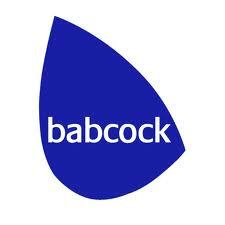 Where possible, scaling works were carried out by Abcas at the same time as the inspections under the direction of one of JGP’s senior engineering geologists. The installation of a 2m high and 15m long catch fence adjacent to the Hideaway Café at West Walk, Seaton. The catch fence is designed to catch falling rock material that could pose a risk to the public and café . Repair to the dentition work (stones set in mortar) along the cliff face between Jacob’s Ladder and Sidmouth town. The installation of a drainage array in a section of cliff next to West Walk, Seaton. This will reduce water issuing from the cliffs and reduce the likelihood of a landslip at this location. The extension of rock netting on the cliffs at the eastern extent of Beer beach. The rock netting will prevent rock falling from the potentially unstable cliffs and reduce the risk to beach users.